Just a little bit of spotlight for the weekend – yes I’m in the press! 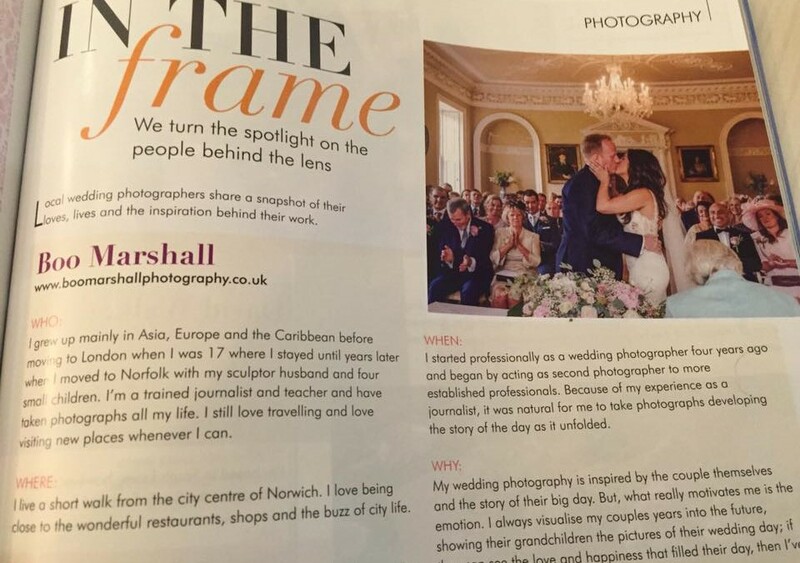 As you may know I’m very lucky to have had wedding and lifestyle photographs as well as commercial pictures printed in a wide variety or magazines and online publications many times; but it’s always exciting to spot another little feature. This one is in the current edition of Your East Anglian Wedding – so for those of you planning your Norfolk, Suffolk, Essex wedding, get your hands on a copy this weekend. They’ve chosen to feature one of my favourite wedding moments too! Having something printed definitely feels exciting and it’s wonderful to pick up the old magazines and see all the memories unfold. Just as good photographs should always make you feel in fact. With the weekend set to be a very cold one, I’m pleased not to be shooting a wedding and that one engagement shoot is being postponed to slightly warmer weather. Actually, there’s another reason for that postponement as well – and when that shoot takes place, you’ll understand why! I hope you all have a wonderful weekend; wrap up warm and enjoy a dry weekend!